NYAPRS Note: Below is a summary of the NYAPRS 2019-20 state budget priorities that we referenced in last Thursday’s NYAPRS Mental Hygiene Budget testimony and that will be advanced with every state legislator by upwards of 700 self and system advocates, two weeks from today, at NYAPRS’ February 26 Annual Albany Legislative Day. Positives: The Governor’s budget includes a number of items long advocated for by NYAPRS, including allocations to renovate community housing sites, reinvest dollars in local communities and add additional services and supports for adult home residents with psychiatric disabilities, and proposals that will greatly increase access to behavioral health services, restart Medicaid 30 days before prison and jail discharge and an essential ban conversion therapies, or other interventions imposed with the intent of promoting a particular sexual orientation and/or gender as a preferred outcome. Critically Lacking: A housing rate hike, 2.9% COLA for the behavioral health and broader human services workforce, additional Crisis Intervention Team funding and restoration of prescriber prevails patient protections. Come join NYAPRS at our February 26th Legislative Day! See bus captain contact info at the attached or go to https://www.nyaprs.org/event-calendar/2018/2/27/21st-annual-legislative-day-pg23y. See you in 2 weeks! Background: There is no recovery without stable housing and consistent, reliable and accessible staffing and supports. However, while New York State has been a leader in creating new housing for people with mental health conditions, it has not provided the funding necessary to help housing agencies to keep pace with steadily increasing costs, leading to a full scale crisis where housing programs are forced to greatly struggle to attract and retain a talented workforce, resulting in high turnover and staff shortages! Further, some providers are now declining to bid on new housing initiatives because the rates are simply far too low. As a very active member of the "Bring it Home, Better Funding for Better Care" campaign, NYAPRS has long been asking state leaders for increased financial support to help maintain New York's essential community-based mental health housing system. This year’s Executive budget adds $10 million in increases to supported housing and SRO programs, but this is simply far from what is needed. Action: NYAPRS joins hundreds of agencies, advocates, families and faith based groups who make up the Bring It Home! Campaign in urging policy makers to phase in $161 million over the next 5 years. Background: NYAPRS and our colleagues in the behavioral health and broader human services sector seek a long promised and long deferred 2.9% Cost of Living Adjustment (COLA) to address a crisis in funding that has produced unmanageable vacancy and turnover rates and agency operating challenges that jeopardize their ability to support New Yorkers with serious mental health and substance use related needs. These funds are critical to allow our agencies to address alarming increases in deaths due to opioid use and suicide, including a growing number of attempts among children under 10 years old, and steadily mounting rates of homelessness and incarceration. On January 14, our coalition released a newly compiled survey that pointedly demonstrated the magnitude of their workforce crisis, showing a 35% statewide turnover rates and 14% vacancy rates for the behavioral health workforce. In New York City alone, the turnover rate was over 45%. In addition, over 80% of the human service workforce is comprised of women and over 40% are individuals of color. Many of these individuals are working one or two additional jobs. Action: We seek a $140 million COLA back to January 1, 2019, to maintain the state’s commitment to our extremely hard pressed and essential human services work force and agencies. REFORM OUR CRIMINAL JUSTICE SYSTEM! Background: The pathway to a life in the criminal justice system begins with encounters with law enforcement. That’s why NYAPRS has long advocated for the use of Crisis Intervention Teams (CIT) across New York. CIT is a highly acclaimed model that matches police training with improved local systems collaboration that has been replicated in 2,700 cities across the United States, including Philadelphia, Houston, San Diego, Los Angeles and Chicago. Over the past 3 years, state legislative leaders have heard our call and responded with $4.8 million in onetime funds to bring Crisis Intervention Team and other diversionary models to a upwards of 30 jurisdictions across the state (see full book for details). We are extremely grateful to our mental health committee chairs Senators Ortt and Carlucci and Assemblywoman Gunther for generous support over the past 3 years, and urge the Legislature to bring another complement of critically needed CIT initiatives to a new set of jurisdictions this year. Action: We seek a $1.5 million allocation to bring the Crisis Intervention Team model to counties across New York. Despite the passage of SHU Exclusion Legislation in 2008 that seriously limited the number of individuals with major mental health conditions, there are currently almost 900 people on the OMH caseload in the SHU, according to the Correctional Association of NYS. Further, 30% of the suicides in 2014-16 happened in solitary confinement and rates of suicide attempts and self-harm were 11 times higher in solitary confinement than in the general prison population. For the first half of 2017, the suicide attempts in SHU remain high, representing 36% of the 80 attempts occurring during January through most of June 2017. · End long term solitary confinement: place a limit of 15 consecutive days and a limit of 20 total days in a 60 day period on the amount of time any person can spend in segregated confinement. · Create new Residential Rehabilitation Units as a more humane and effective alternative to provide segregated confinement and one that provides meaningful human contact and therapeutic, trauma-informed, and rehabilitative programs. · Require training for Residential Rehabilitation Unit staff and hearing officers, public reporting on the use of segregation and oversight of the bill’s implementation. NYAPRS is in strong support of a current proposal, referenced in this year’s Executive Budget, to seek federal approval to restart Medicaid coverage to vulnerable individuals in the criminal justice system during their last 30 days of incarceration for medical, pharmaceutical, and behavioral health care coordination services. As a result, these individuals often have to wait 45 days to get the medications and services that best enable them to successfully transition to the community and avoid relapse, recidivism and tragedy, including a 12-fold rise in the risk of death in the first two weeks post-release. 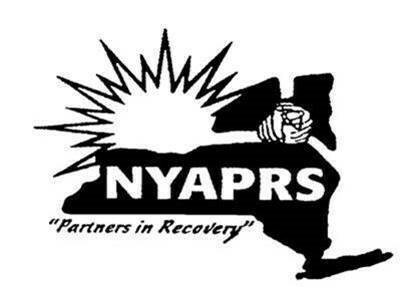 Last year, NYAPRS successfully joined with the Legal Action Center and other advocates to help win a change in the Social Services Law that authorized the state to seek this federal waiver. If New York is able to gain federal authorization to implement this waiver, we will be the first state in the nation to take such a huge step in transforming the criminal justice system from a punishment to a treatment-focused model. NYAPRS is extremely supportive of the Governor’s proposed to ensure greater access to critically needed behavioral health services. The passage of the new parity law will provide greater public information about Health plans and their lack of coverage of Behavioral Health Benefits through the Department of Financial Services (DFS) Web Site. The Budget includes funding to create greater scrutiny of health plans based on the hiring of more staff at DFS and DOH who will be able to monitor plans. The Budget also ensures that OMH will now be helping to define medical necessity standards as they apply to needed mental health services and requires that health plan mental health utilization review staff must have “subject matter expertise” in this area. Further, the Governor also proposes to increase access to SUD and psychiatric care by increasing the amount of days that New Yorkers can receive SUD and mental health treatment without prior approval by health plans, require coverage for naloxone (reverses effects of opioid overdoses) and access to medication assisted treatment without prior health plan approval. See full Legislative Day book for more details. Action: Approve the Governor’s package to greatly increase access to behavioral health treatments and medications. Background: The budget also keeps faith with New York’s long, progressive commitment to moving resources to best support people with more serious mental health needs to succeed in the community, in place of long or repeat stays in our state psychiatric hospitals. In recent years, community reinvestment dollars have been used to create critically needed mobile intensive outreach teams, peer bridger and respite programs, crisis intervention, warm line and housing services for adults and children, family empowerment services, managed care transitional supports, forensic ACT team and social club services. See details at https://www.omh.ny.gov/omhweb/transformation/. Towards those ends, the Executive Budget funds another annualized Community Reinvestment allocation of $5.5 million, annualizing to $11 million locally selected services and supports to further enhance our capability and capacity to support New Yorkers with the most serious behavioral and physical health and social needs. Action: NYAPRS strong supports the Governor’s proposed $5.5 million increase in transformative service across NYS localities. Background: NYS policy makers are regularly confronted with the challenge of how to best help individuals with serious mental health conditions who have not engaged in traditional treatment and who are at risk for avoidable crises, relapses, hospitalizations, incarceration and homelessness. In 1999, New York enacted Kendra’s Law, which relies on mandatory outpatient treatment orders, sometimes called ‘Assisted Outpatient Treatment’ to coerce individuals into treatment. But a penetrating look at the research does not prove that mandated community services works better than innovative voluntary approaches. New York should be regarded as a national exemplar for fixing not forcing services that have failed to successfully engage individuals and families in crisis. Our mental health systems must not turn over our responsibilities to the courts and police and treat system failures as patient and family failures! Last year, the Assembly approved a $500,000 allocation to launch a new Project INSET model in Westchester County that is providing “immediate, intensive and sustained” response to people and families in crisis that is driven by the work of trained peer specialists. The program has been steadily demonstrating power positive outcomes! Background: Prescriber Prevails policies allow prescribers to ensure that their patients are afforded the best and most effective medications they select, and not the cheapest. Many within our community require very specific medications in order to get the best results with the least degree of side effects, as regards both their behavioral and physical health related needs. This year’s Executive Budget proposes to eliminate prescriber prevails protections in both fee-for-service Medicaid and Medicaid Managed Care for all drug classes except for atypical anti-psychotics and antidepressants. While this year’s budget contains an exemption for those mental health drugs, Medicaid members deserve equal protection around getting the medical treatment they and their prescribers choose. NYAPRS thanks state legislators for their steadfast unwillingness to approve this policy and urges that you do that once again this year. Action: Reject elimination of prescriber prevails protections for Medicaid beneficiaries. Background: NYAPRS is very grateful to state legislators and Governor Cuomo for enactment of new legislation that designates engaging in sexual orientation change efforts by mental health care professionals upon individuals under 18 years of age as professional misconduct. The measure, which passed 57-4 in the Senate and 134 to 3 in the Assembly, made New York the 15th state to ban the controversial practice, which is widely discredited by medical and mental health organizations. So-called sexual orientation ‘conversion therapy” has been roundly discredited by major medical and professional organizations. We support the assertion that efforts to convert the sexual orientation of a minor exposes them to harmful consequences such as depression, self-loathing and suicidality. NYAPRS was very pleased to join a broad array of advocacy groups in support of this landmark bill and extends our very special thanks to the law’s sponsors, Assembly Member Deborah Glick (Assembly 1046) and Senator Brad Hoylman (Senate Bill 1046). Action: Thank state legislators and the Governor for enacting this landmark legislation in NYS.